1. Won the 2017 Cal Poly Bull Test. Test is structured on a very steep hill to allow for structure soundness and sorting. 2. Excellent feet and legs that allows for fluid movement. 3. 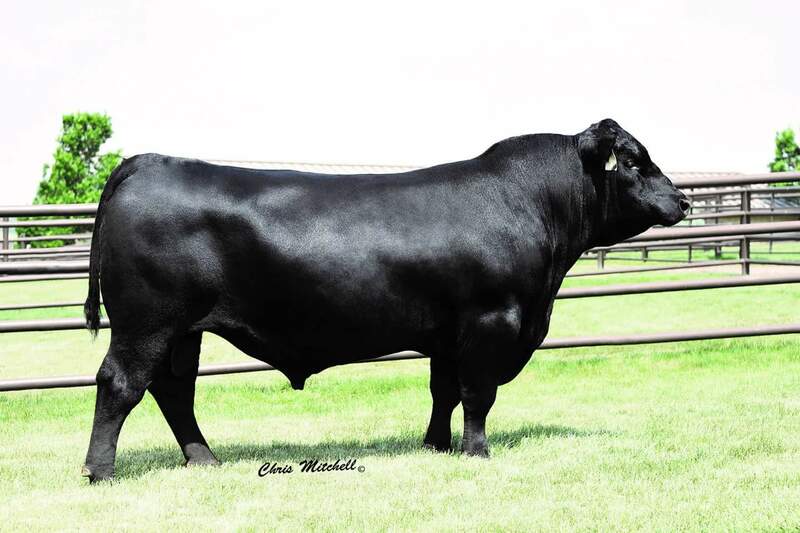 Elite EPD profile that is backed by multiple generations of elite performing cattle in a real world environment. 4. Docility is key with Deluxe. That characteristic is making its way up the selection criteria and he has it. 5. Genomic 50k top 1% WW, YW and CW, 3% CED and SC.